For many years, Stefan Bellof was considered the greatest talent produced by Germany. 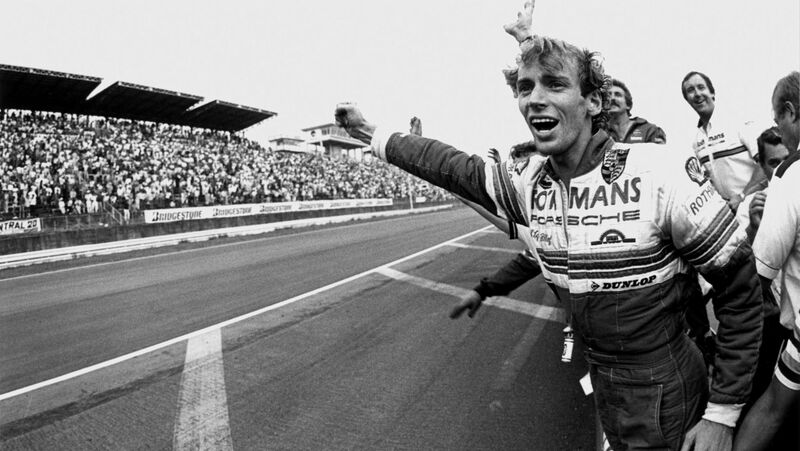 He made a name for himself in the Porsche 956 – the car that he was also driving in the accident that killed him. The memory of this high-flyer is kept alive by his brother Georg. Goa, the nickname that Georg Bellof has had all his life, is 17 months older than Stefan and now 62 years old. He also planned to be a racing driver, and he too was lightning fast. However, he was unable to advance with this career choice due to a lack of funds. “I became a dental technician instead, completed a Master’s and built up my own practice.” But times have changed for him as well: Today, Goa Bellof shares his expertise with Porsche drivers as a driving instructor. He was always very close to his younger brother Stefan – and in a way he still is. Following, promoting and helping with his brother’s career were all important to Georg Bellof. “We were inseparable. We played football together, we went skiing together in winter, and we did all sorts of crazy things together.” For example, driving around the premises of their father’s vehicle paint shop in the company’s Goggomobil microcar – a daily hobby enjoyed by the fun-loving boys. Goa Bellof laughs at these childhood memories so loudly and with such clarity, spontaneity and mischievousness like the true Bellof he is. Are we sure that this is Stefan’s brother? Without a doubt. Stibbich means “the little one”. The little one always wanted his big brother by his side. “Stefan knew that he could always count on me for good advice. 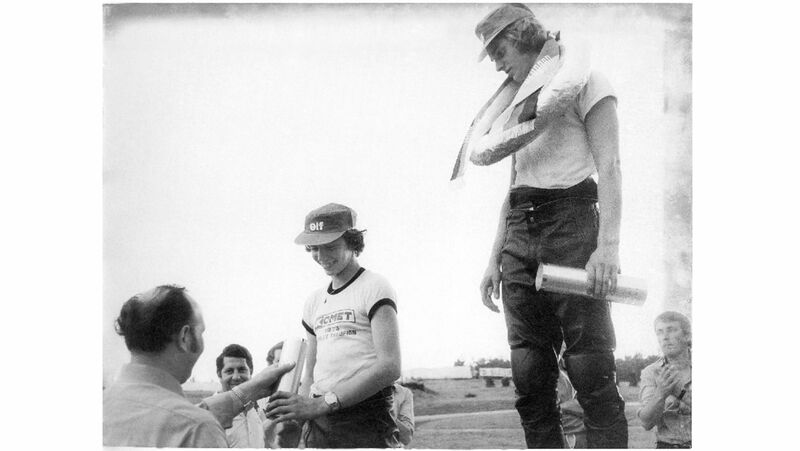 That was very important to him.” This proved to be the case during the first Formula 2 test drives when Bellof impressed sceptical team director Willy Maurer after just three laps; it was a similar story during the young driver tests for McLaren at the end of 1983. This season was also his first year in the Porsche factory team. During qualifying for the 1,000-kilometre race at the Nürburgring, Bellof completed a dream lap of epoch-making importance: The timekeepers recorded 6:11.13 minutes, prompting the track spokesperson to make up something about the timer being stopped at the wrong point because a lap time that fast was simply not possible. “We didn’t think that the lap time was unusual, initially”, Goa recalls. “We thought ‘great! The fastest in qualifying’. What was strange was the fact that the team hadn’t expected him to be the fastest. But Stibbich had always been fast.” It was only much, much later that it dawned on everyone in motorsport just what Bellof had achieved with his Porsche 956 and the legend he had created that day – for himself, for Porsche and for the Nordschleife. Like a mountaineer conquering Mount Everest, Stefan Bellof was the first driver to achieve an average time of over 200 kilometres per hour on the 20,832-kilometre-long Nordschleife, the most difficult race track in the world. “Stefan broke the sound the barrier”, Norbert Singer, Porsche team leader, claims of the lap time that went down in history. Today, Goa Bellof has the legendary record embroidered on his shirt. There is no clearer way to show his brotherly pride. However, the premature end of that Sunday race day on the Nordschleife is just one of many stories often told as part of racing folklore: With a significant lead, Bellof destroyed his Porsche 956, crashing just after the huge jump along the Pflanzgarten section of the track. The car took off in the truest sense of the word, at a speed in excess of 200, at a critical point. Bellof escaped unharmed, on that occasion at least, and according to brother Goa, “He immediately went over to the fans to sign autographs.” It was this seemingly happy and carefree sense of calm that characterised Bellof as a racing driver. Unfortunately it was also this carefree attitude that spelled disaster for the racing driver on September 1, 1985, when he died battling against Jacky Ickx in a ferocious duel on the tricky Eau Rouge curve at Spa-Francorchamps. Stefan Bellof, however, will be remembered forever with the 6:11,13 round at the Nürburgring in 1985. Stefan Bellof has driven an indelible record into the asphalt for all time.